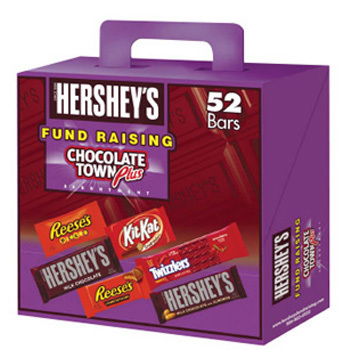 The Hershey’s™ Chocolate Town Fund Raising Kit is one you should consider. Free Shipping is one of the many pluses of this fundraiser! It features 6 favorite Hershey’s candy bar varieties in large, 1.5 ounce bars. The minimum order is only one case. And, your group will receive (free) a huge 5 pound chocolate bar with every 8 cases you order. You can use this candy bar to raffle off to earn more funds or use it as an incentive to students to sell more candy bars. Either way, you earn more! 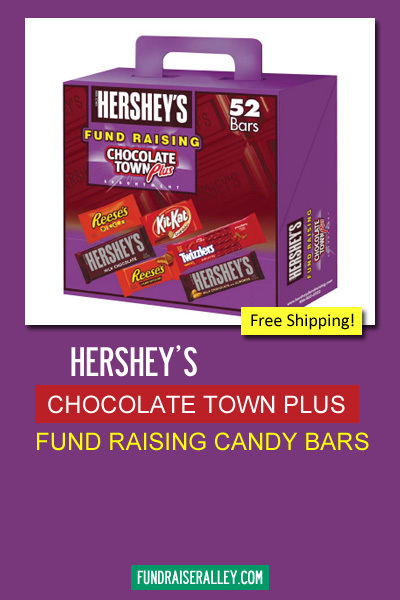 Receive a free 5lb bar for every 8 cases ordered (can combine with Hershey’s Candy Shop Max Assortment Kit). Candy Bars are a great fundraising product idea for sports teams. Be sure to offer them at your concession stand. And, you can’t go wrong with the popular Hershey’s candy bars! 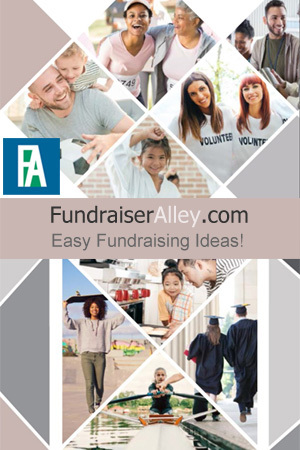 Sell at school, games, and events.